Chipotle Apple Sweet Potato Salad - an easy fall favorite. This sweet & spicy salad is SO filling with apples, corn, roasted tomatoes, and chipotle. This is my new favorite salad… and I don’t throw words like “favorite” or “best ever” around lightly. You may have noticed that I love roasted sweet potatoes in just about any salad (as evident here, here, and here) but this combination – with roasted tomatoes, roasted apples, corn, and a tangy/smoky chipotle dressing – was so good that I made it for dinner two nights in a row. The first night, I made this as a lazy-girl dinner. Jack was out of town so for an easy “by myself” dinner I decided to roast the things (pictured above) that had just arrived in my Farmhouse Delivery box. I made a quick (yet super delicious!) 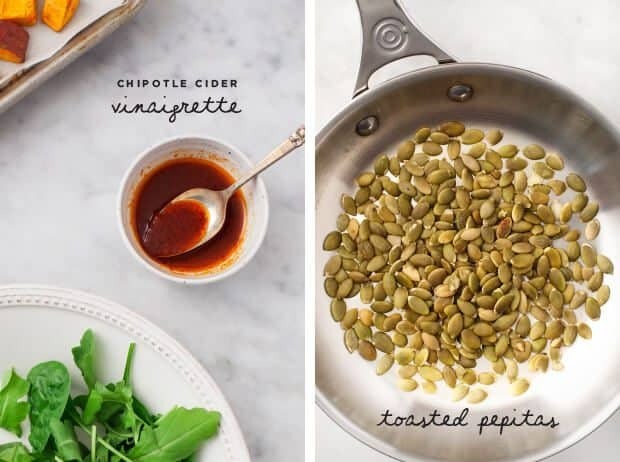 dressing and tossed it all together with toasted pepitas for crunch. The second night, I was so excited to recreate it for Jack because I just couldn’t get it out of my mind. Am I the only person who goes to bed dreaming of things like sweet potatoes and apples? In my humble opinion, this is late-summer-early-fall produce perfection. Be sure to make this while you can still find a few cherry tomatoes in season! Preheat oven to 350°F, and line a large baking sheet with parchment paper. 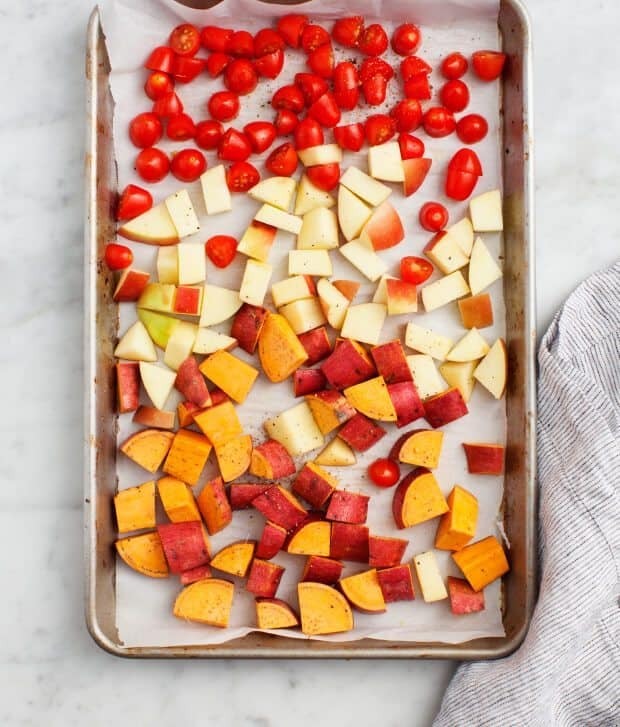 Toss the sweet potatoes, apple, and tomatoes onto the baking sheet with a drizzle of olive oil and a pinch of salt and pepper. Roast 30 to 35 minutes until the edges of the sweet potato are golden brown, tossing halfway through. Meanwhile wrap the ear of corn in foil and place it in oven during the last 15 minutes of roasting time. In a small bowl whisk together the olive oil, chipotle paste (or powder), apple cider vinegar, honey (or maple syrup), and a pinch of salt and pepper. 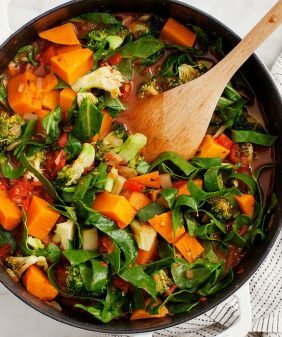 Place the baby spinach and/or arugula in a large bowl along with the roasted sweet potatoes, apples and tomatoes. Slice the kernels off the corn and add them to the bowl as well. 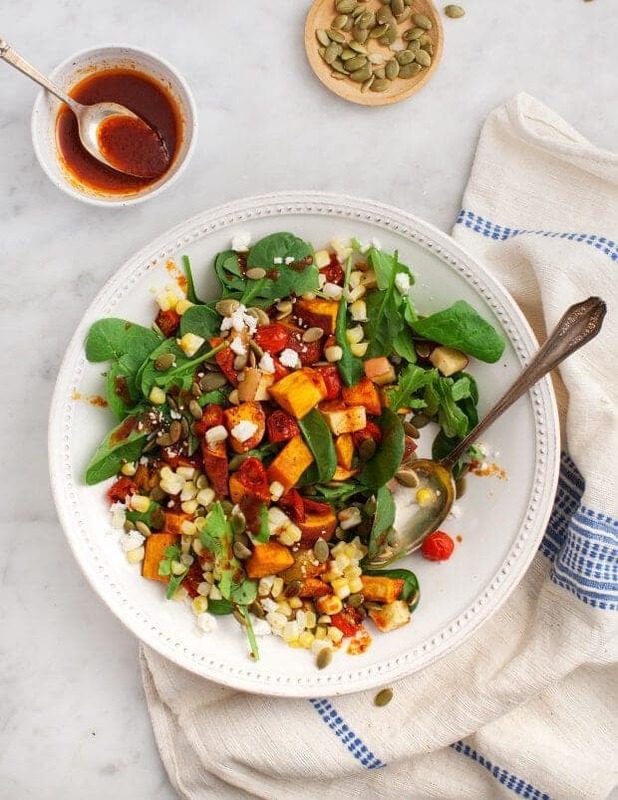 Toss the salad with the dressing, toasted pepitas, and feta cheese, if using. Season to taste with salt and pepper. *If you're using chipotle powder, start with ½ teaspoon since the spice level can vary from one powder to the next. You can also use adobo sauce from a can of chipotles in adobo. 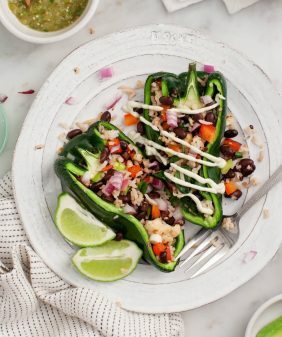 The chipotle paste that I used here is very convenient because you can use small amounts at a time without opening and storing the contents of a whole can - I found it recently at Whole Foods. 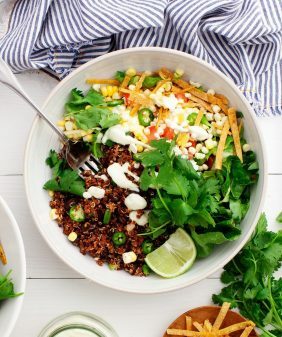 I have all of these ingredients (except the corn) right now! Very excited to try this yummy looking salad! This looks delicious, and I love your new layout! This salad looks amazing!! 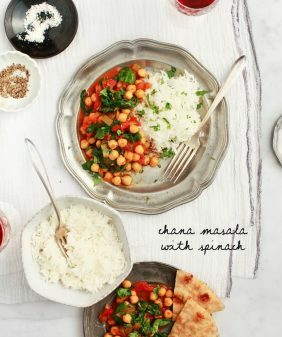 I am going to make it next week and am already so excited to try it out! How would this be the next day…all assembled? Dressing on side. You are not the only one who goes to sleep thinking of food. 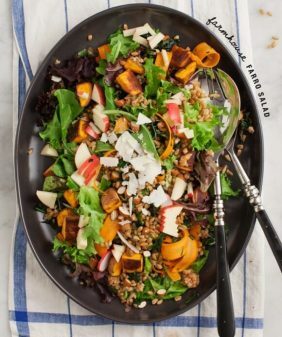 This salad looks like a delicious way to usher in fall. Apple and sweet potato is delicious combination indeed! And no, you’re not the only one who goes to bed dreaming of food! Not only do I fall asleep imagining banana froyo, I wake up pondering pumpkin pancakes 🙂 Ah, the life of a food blogger! As much as I hate to admit it – I’m excited for fall and all the Honeycrisp apples. 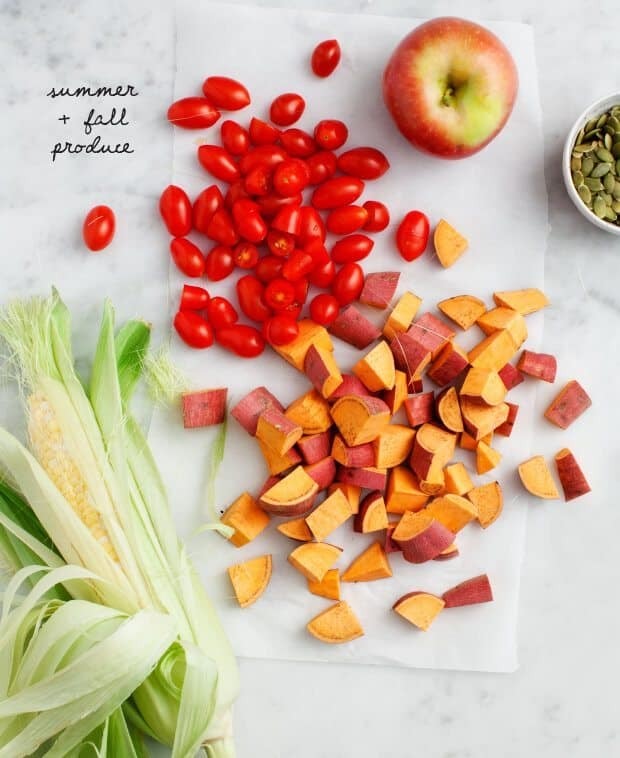 This looks so interesting with the tomatoes, apples and sweet potatoes together. I’m always up for new flavor combos so will try this out. Thanks! I’m intrigued with the flavour combination not to mention how pretty they look together. I can already see myself devouring this! Yummy I love corn and potatoes definitely going to try this on the weekend!! Really lovely Autumn salad. 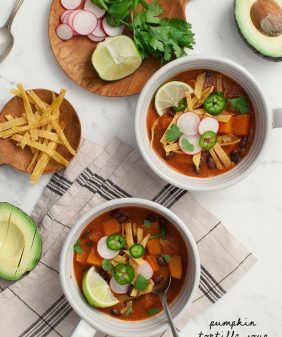 Chipotle and apple cider are one of my favorite cold weather flavor combinations in a soup so I can’t wait to put it into a salad. I happen to have all ingredients for this salad in house and I’m so gonna make this for dinner. Tonight! I love the bright colors and fall theme. Yum! Absolute yum. What a terrific combination! We love chipotle powder, so I especially have to try that dressing. Tried it and loved it! Fall in a plate! Made the salad and loved the combination of ingredients. The chipotle dressing was a bit spicy for my taste, a little bit goes a LONG way. My husband preferred an oil/lemon juice dressing. Can you recommend some other dressings (not spicy) for this great salad recipe…thank you! I made this the other night, and it was absolutely delicious! The combination of smokey, sweet and savory was fabulous! Making it again tonight 🙂 Thank you! Made this salad this morning for my lunch-time book club … so easy, and what a crowd pleaser! I did end up going very easy on the chipotle (powder, couldn’t find paste) — about a 1/2 teaspoon provided enough flavor for me. I can confirm that, if you’re using chipotle powder rather than paste, you should reduce the amount. I went with the full 2 tsp., and it was too spicy, even for my significant other, who’s from Mexico and eats pickled jalapeños straight from the jar. Weirdly, the spice seemed to diminish rather than intensifying after a night in the fridge, but maybe we had just added the dressing unevenly. The salad was still yummy, but if I ever make it again, it won’t be with more than a half teaspoon of powder. thanks for the feedback, I updated the recipe with better notes about chipotle powder amounts! This looks UNREAL. This salad will be perfect for the cottage this weekend. It’ll match the beauty of the changing leaves. Cheers! we loved this so much we made it two nights in a row. the second night we added avocado (instead of feta, since i am vegan), which was a super good addition! So colorful and healthy. I bet it’s delicious too!! I made this salad tonight without the corn and it was delicious! Thanks so much for sharing!